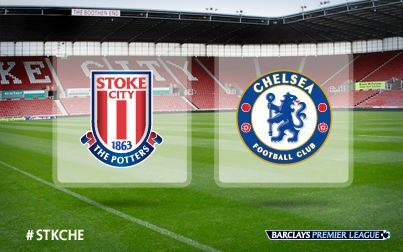 Chelsea face Stoke City after a win in midweek away to relegation threatened Sunderland. Chelsea will be looking to pick the 3 points to maintain pressure on Arsenal who are top of the league and have a 4 points advantage but will be facing a tough fixture against Everton who in midweek defeated Manchester United at Old Trafford. Jose is also aware of the fact that this has been a very tough week on the players with football in midweek as well and has said he will be giving his players a rest. Meanwhile Jose has confirmed that David Luiz is out for the Stoke game and is yet to make a decision whether Oscar will feature or not. Samuel Eto’o has resumed training and will be available for selection.